Editor's Note: Sae Rheen K. ('16) and her father, Isaac K. wrote this submission about two different geometric curves. For ages since ancient times people with curious minds studying various phenomena in nature have long known that typically 2 types of curve shapes dominate their observations: bell shape and asymptotically descending shape. The bell shape cure is given the name Gaussian distribution, named after the 18th century German mathematician Karl Friedrich Gauss. Gauss introduced a mathematical model widely used wherever statistics is used. 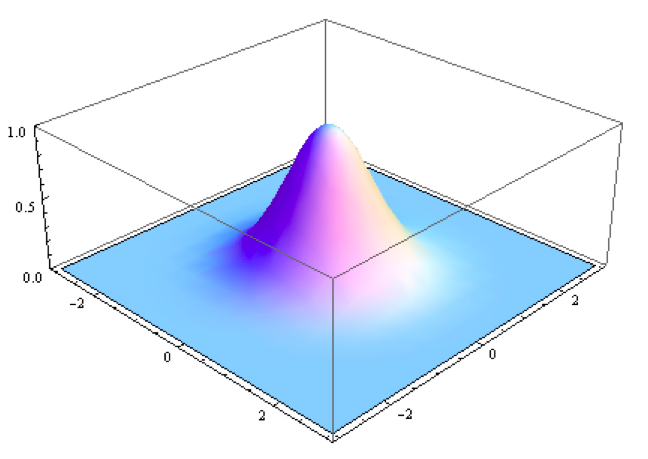 Gaussian, a bell shaped curve, describes a distribution of events that occur due to random nature. As an example, let’s imagine we drop 1,000 of perfectly round glass balls in a sequence from 10th floor window of an apartment building. As the ball travels before hitting the ground it experiences the wind blowing directly against it. Thus there are 2 factors working against the ball, the force of gravity pulling it towards the ground and the wind blowing in all directions and the direction in which the wind affects the ball is in random direction. After the 1,000th ball is dropped, if you count the spot of the ground where the balls hit when they landed most of the balls would have fallen right at the center and gradually spread outward as shown in the graph above. Now imagine we now glue a feather around each ball and repeat the same experiment. How would the plot of the number of balls over the area where the balls hit look like? It would look similar the one above, except, the bell shape would have spread out more widely since the effect of the wind would be more pronounced as the feather on the ball would offer more resistance to the wind. where N is number of particles in the matter. This form of the differential equation occurs not only in nuclear Physics but even in economics an observation of the rate at which corporations surviving follows the same pattern, so that when this differential equation is solved for N shows that the total number of corporation slowly decays to smaller number over time. 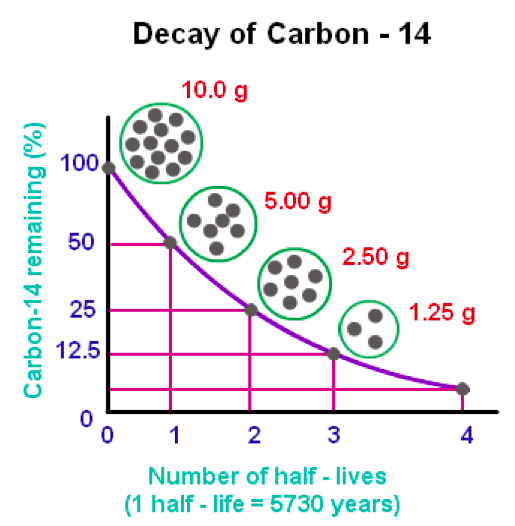 Well, the graph above for Carbon-14 is actually used to estimate the age of matter believed to have existed many years in history. And this pattern of exponential decay keeps on occurring around us.